I’m not a big fan of the mainstream news media, which I define as the national press, (excluding the local community media). President Trump’s attacks on the mainstream news media are justified and we should be supporting it. The national news media lies. They exaggerate. They fuel racism and bigotry with their reporting. Their mantra “if it bleeds it leads” is the driving-force in determining what gets covered and what doesn’t. In truth, the national news media is no longer independent, but owned by a small handful of multi-national conglomerates and corporations whose purpose is not fair reporting, but greed. Many of you know I am Palestinian. I’m proud my father is from Jerusalem and my mother is from Bethlehem. I often joke that Jesus is my cousin. I am also patriotic. I served during the Vietnam War, honorably and with distinction. I also served 12 years in the Illinois Air National Guard, too. Yet, all my life, this country has treated me as if I was a threat. The day I was honorably discharged, the FBI launched an investigation into my life, “suspecting” I supported terrorism. After two years of wasting taxpayer money, their 40-page report concluded I was just an American concerned about improving the lot of my ethnic community. Imagine as a child watching Hollywood movies that portrayed people who looked like my father, uncles and cousins as “terrorists” who were intent on destroying America and killing American civilians. That was in the 1950s, 1960s and 1970s. Countering that anti-Arab bias is why I entered journalism in 1975, instead of becoming a doctor. I wanted to make the media accountable, informing the public by presenting both sides of important issues, like the Palestine-Israel conflict. We still don’t get that even today. Every day, national newspapers publish columns and national TV hosts one-sided shows attacking Arabs, Palestinians and even Muslims. Yet there is no countering voice from Palestinians or Arabs. We’re excluded. I’m proud this newspaper allows me to express my views; I always try to be fair. Italian Americans, Blacks and Asians often tell me that Hollywood also slanders them, too. Ah, but there is a difference. While the media portrays Italians, Blacks, Asians and other ethnic groups in a negative way, they also portray them in a positive way, too. Blacks have their own TV network. There are many TV sitcoms that present other ethnic and racial groups in a positive, and humorous light. But none that do the same for Arabs. They are given a voice in the news media, but Arabs are excluded. In 1985, I was the only Palestinian journalist to work at a major American daily newspaper. I was told that I had to keep my views “on my side of the typewriter.” But not the other ethnic reporters. They were encouraged to write about their heritage and politics and history. Arabs are isolated, excluded and demonized by the major media in newspapers, on TV, on radio and in Hollywood movies. It has an impact. Arabs lobbied for years to get the City of Chicago to formally include Arabs and Muslims in the fight against racism. Mayor Harold Washington and Mayor Richard M. Daley supported our inclusion in the city’s Human Rights Commission. But as soon as he was elected mayor, Rahm Emanuel shut Arabs out and pulled the plug on the four-year-old Arabesque Festival, the city’s only Arab celebration. Chicago honors the Irish, Italians, Blacks, Hispanics, Asians and others with parades, festivals and city-sponsored events. But nothing for Arabs. Emanuel feels no compulsion to respond to my queries for an interview about these and other issues, I believe because I am Arab. I blame the news media. 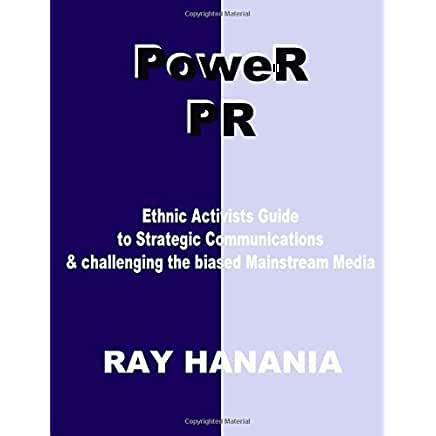 Their racist stereotypes and biased coverage of Arab issues poisons the minds of mainstream Americans, making it easy for Hollywood, TV, the media, and Mayor Emanuel, to exclude, ignore and ostracize Arabs. To me, this isn’t about Donald Trump at all. It’s about making the mainstream news media accountable for its unprofessionalism, biases and racism. Too many reporters have turned their “objective” news reports into opinions and columns. There’s a difference between “reporting” and what I do, writing a column that you know upfront is my opinion. Too often, news reports sound objective but really represent the reporter’s opinions. It’s obvious in the biased coverage of President Trump, and in the coverage or Arabs. THIS POST HAS BEEN READ 6404 TIMES SO FAR. THANK YOU!